Magnolia trees are popping out in big white and pink blooms all around my block this week, getting me all excited for spring to advance a bit further. My apartment is stocked with spring flowers as well—cherry branches loaded with puffy blossoms, daffodils, and tulips are positioned at key points in my pad to provide little pick-me-ups as I pass by; I love spring and its many colors and scents. The second week of class brought with it a heavy dose of tarts and tartlets, further heightening my fling with spring as we learned the proper way to cut fruit to top both fresh and baked fruit tarts. I’d always had a terrible time dissecting orange segments from the pith without mangling them into indistinguishable bits, but after Chef Cynthia’s demonstration and some practice with a sharp knife both in class and at home, I think I’ve finally got it down. We also picked up a useful tip for loosening the skin around kiwi fruit by cutting off both ends with a knife and then pushing a spoon underneath the skin and twisting the fruit around it in a circular motion until the skin is removed. We finished up the week with another sanitation lecture from Chef Guido. It’s one of the last ones before our first test on sanitation that takes place on Thursday of week three—wish me luck! Exciting news at The FCI! 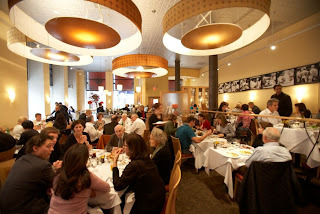 Starting March 28, our restaurant, L'Ecole, will be serving brunch on Saturdays and Sundays from 11:30am to 2:30pm. For $19.50, diners will enjoy a two-course meal, including a basket of freshly baked pastries and bread as well as choice of beverage. This is a great opportunity for our Classic Culinary Arts students to show off their egg cooking skills (they say a well-made omelet is the sign of a well-trained chef). The kitchen will also turn out house-made terrines, smoked salmon, and juices. The menu strikes the perfect balance between classic French (Croque Monsieur and French onion soup), classic Brunch (French toast and Steak and Eggs), and classic Lunch (the L'Ecole burger and duck confit). To make a reservation, visit L'Ecole's website or call 212.219.3300. 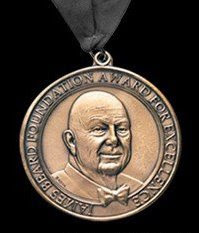 Once again, The FCI is strongly represented in the James Beard Foundation Award nominees. 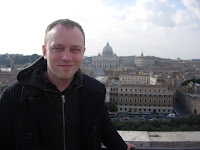 Dean of Food Journalism and Food Writing teacher, Alan Richman, is nominated in two categories, Magazine Feature Writing without Recipes, and Writing on Spirits, Wine, or Beer for his pieces in GQ, "Made (Better) in Japan," and "Viva La Revolucion!" The FCI's president and founder, Dorothy Hamilton, has been chosen to be inducted into the Who's Who of Food and Beverage in America. 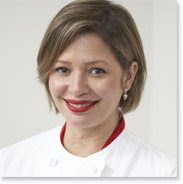 Dorothy was also recently nominated for the 2009 IACP Award of Excellence (Entrepreneur category). Congratulations to all nominees and good luck in the final competition! Meet Hayley, a 23-year-old student of The FCI's Classic Pastry Arts program. Read and enjoy her blog, Haley Bakes, as she chronicles her experiences in pastry school. 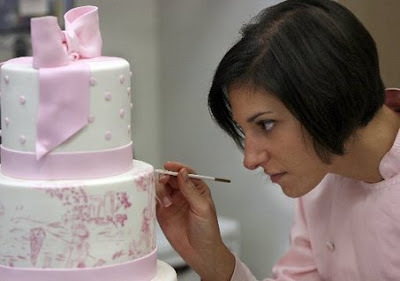 FCI alum, Anne Heap (Classic Pastry Arts '05), spoke to the NJ Star-Ledger about her specialty cake boutique, the Pink Cake Box in Denville, NJ. Anne’s cakes have been featured in a number of magazines including Modern Bride, InStyle Weddings, People Magazine and The Knot. Read the full article. View examples of her fabulous custom cakes (which taste as good as they look) on the Pink Cake Box Blog. Check out Rachel Ray's website to see her Pink Cake Box birthday cake.